The concept of geostationary satellite communications systems is generally credited to the futurist Arthur C. Clarke. Mr. Clarke wrote an article in 1945 stating that communications signals could be transmitted to and from Earth by a relay station launched into orbit at a distance of about 22,300 miles (36,000 kilometers) above the Earth’s equator. 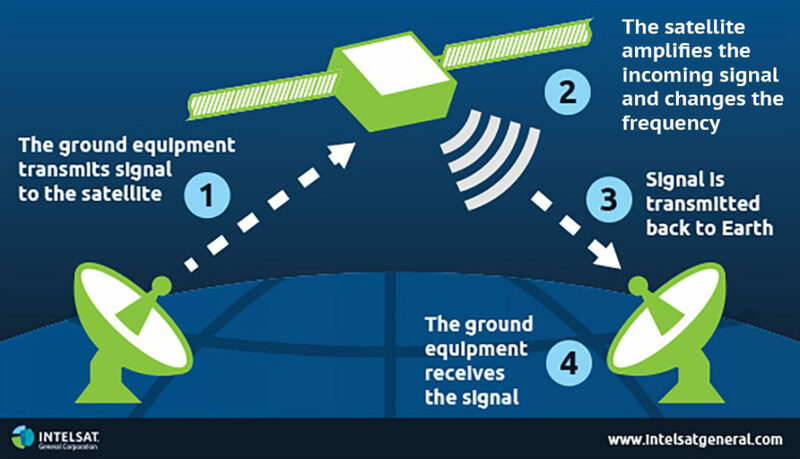 From that altitude, the satellite would travel at the same rotational rate as Earth and would appear to remain fixed over a location on the ground below, thereby providing a stationary platform for the continuous relay of communications signals.